Far Westfield Farm spans over 135 acres in the heart of Warwickshire, originally a stud farm it was transformed into a training establishment by George Baker and he trained over a 100 winners here. Jamie & Roz moved here in 2012 and the farm has since undergone major renovations and expansion. Approximately half the farm has been put back to arable crops, allowing us to produce our own hay and straw. 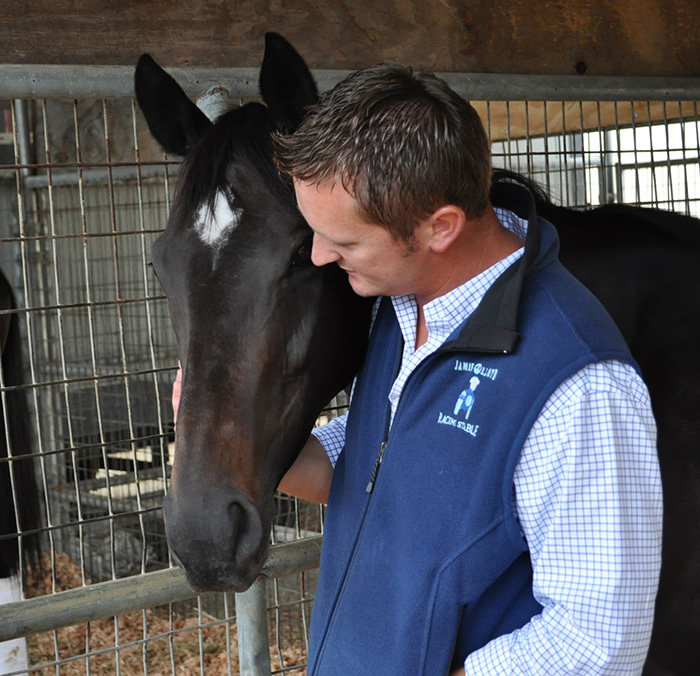 Former Trainer Jamie Lloyd was based in the U.S. for 10 years where he established a stable in Southern California, training such Stakes horses as KATDOGAWN, HAMIELDAEME, SHERMEEN, FANTASTIC PICK, SLEWS TIZNOW, ON THE ACORN, CLONEYLASS, CARNIVAL QUEEN and HUCKING HOT. Jamie worked as an Assistant Trainer to Paddy Gallagher from 2005 to 2008, enjoying great success with such Stakes Horses as Three Degrees, McCann’s Mojave, Valbenny, Singalong, Dilemma, and Tucked Away. Jamie ran Gallagher’s Hollywood Park division comprising of around 45 horses of all ages competing across the country. Jamie worked closely with Paddy and his barn’s resident Bloodstock Agent, Eddie Delahoussaye, and values greatly the knowledge and experience he gained whilst there as well as the support and encouragement in setting up his solo project. Prior to joining Paddy, Jamie had been Jim Cassidy’s Assistant Trainer since February 2001 where between them they established a record as one of the Top Turf Conditioning Barns in the country with major success coming at every level, predominantly with European Turf Horses. The barn incorporated the selection, purchase and management of such Stake horses as Ticker Tape, Moscow Burning, Katdogawn, Singhaleese, Star Vega, Steelaninch, Ocean Sound and Unrivalled.